One of the most attractive tourist activities and fun in Bali is cycling. Cycling through the rice fields, forests, to cross the traditional villages, while looking at the activities of local residents. The location is most often used for cycling activities in Bali are in Ubud. Ubud has many interesting sights. Cycling on the rice field is the most favored by tourists. Down the road along the edge of the rice fields, until crossing the mound of rice fields, while bolster the bike while crossing the road difficult in going through. Entry into the coconut groves, and back through the asphalt road in the countryside, is the most widely offered activities. Cycling is a very healthy activity. If done in a beautiful location, with fresh air and clean, this activity can certainly create a healthy body, in addition to the body, the mind also becomes more relaxed. So that the health of the body is preserved, as well as physical life is getting better. There are many spots that can be used as a location for cycling activities. However, the most popular is around the village of Ubud. 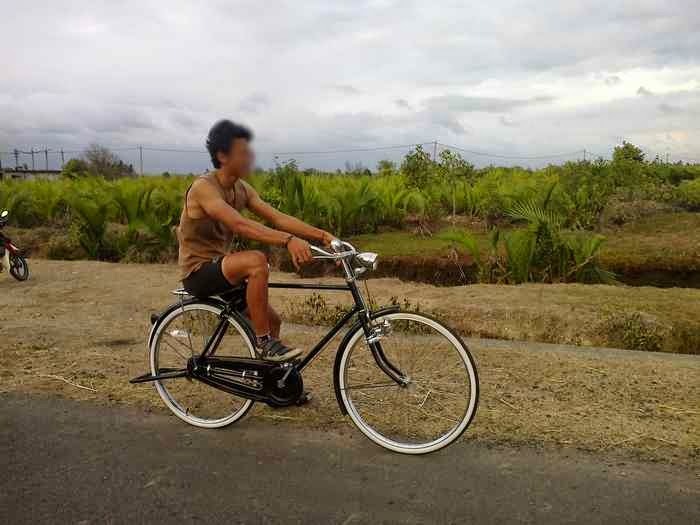 Indeed, almost all area in Bali have an interesting place for cycling activities. However, not all places have attractions that can be used as a place to relax after a tired cycling. Gianyar Regency is famous for the art of life of its citizens. Tabanan famous with the activities of farmers and rice terraces are very spacious. So, du district can be an option for cycling activities with friends and family.